At the 83rd Annual Academy Awards The Lost Thing won the Oscar for Best Animated Short, while Pixar’s Toy Story 3 won the Oscar for Best Animated Feature. The Lost Thing is based on a short story by Shaun Tan, who’s book Lost & Found is out next week and we’re giving away three copies. Details here. Beginning June 24, 2011 a new Toy Story short film titled ‘Toy Story Hawaiian Vacation’ will play before every screening of Pixar’s upcoming sequel Cars 2. 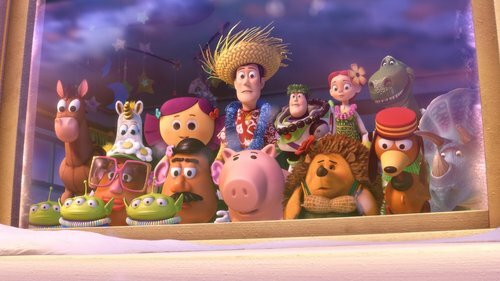 This is the first in a series of Toy Story shorts, the second of which will premiere November 23, 2011 before screenings of Disney’s The Muppets. Check out the second still after the break. 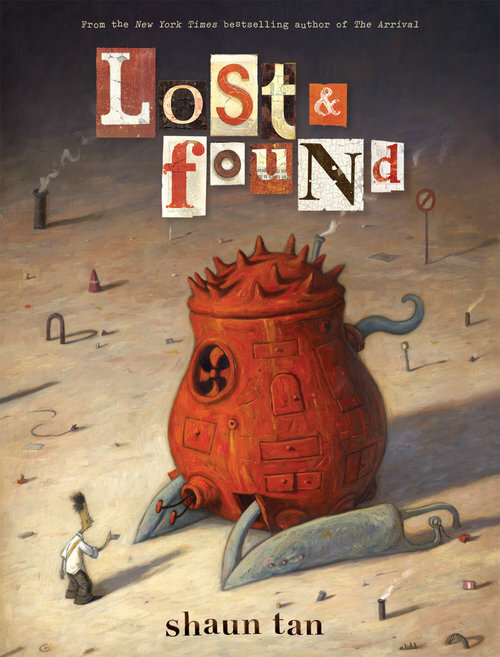 To celebrate The Animation Blog’s upcoming 4th birthday, we’re giving away three copies of Shaun Tan‘s Lost & Found. The book includes three stories: The Red Tree, The Lost Thing, and The Rabbits. These stories have never been widely available in the U.S., until now. All three stories are presented in their entirety with new artwork and author’s notes. The book goes on sale March 1, 2011 (the same day as TAB’s birthday). How to Enter: The book is very imaginative and evokes feelings of wonder. So, if you’d like to win one of the three copies, you’re going to have to use your imagination. To enter, email theanimationblog at gmail.com with the subject heading “Lost & Found” and in the body of the email write a short story or poem of 300 words or less. I will then pick the three best entries on March 8, 2011. Good luck! Note: Open to United States residents only. Did you know Pixar originally wanted Jim Carrey to voice Buzz Lightyear, but could not afford to pay Carrey’s salary? 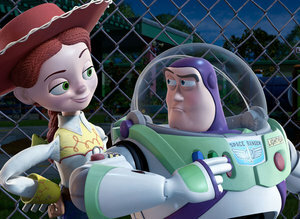 Or that Billy Crystal was offered the chance to voice Buzz Lightyear, but declined? Another interesting fact is that Tom Hanks recorded his dialog for Woody during the breaks of Sleepless in Seattle and A League of Their Own and not during the breaks of Philadelphia or Forrest Gump because he didn’t think it was right to do comedic roles in between serious roles. Nine-year-old Milo finds out just how much he needs his mom when sheâ€™s nabbed by Martians who plan to steal her mom-ness for their own young. With the help of a tech-savvy, underground earthman named Gribble and a rebel Martian girl called Ki, Milo just might find his way back to his mom. In theaters March 11, 2011. The X-Men are reunited following the death of a teammate, and are summoned by Charles Xavier to Japan following the abduction of Hisako Ichiki (Armor). There, they confront the U-Men, a lunatic cult that steals and transplants mutant organs to further strengthen their own army. The anime will premiere on Animax on April 1.